VER, a global supplier of equipment and technical expertise for TV, cinema, live music, sports, and corporate production, has invested in an array of products from Riedel’s MediorNet real-time media network family. Products including the MetroN core router, MicroN 80G media distribution network device, and MediorNet Compact Pro frames will support the company’s offering of broadcast and production services. With a 35-year history and offices around the world, VER supports more than 50 productions each day, offering a range of rental equipment and expertise in many different aspects of production. Its services include multicamera production, broadcasting, creative screens control, enhanced environment, LED installation, and video system services. The first implementation of the MediorNet system involved multiple sources and devices that required a flexible routing solution allowing the dynamic ability to insert a source anywhere in the chain and move it to any destination without requiring a direct path. 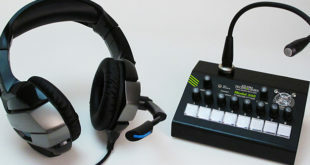 The simplification of the audio and video paths was key, and using a system comprised of five small racks for capture or distribution gave VER the ability to manage audio, video, and data in a single environment and meant that they could instantly move and assign sources with the precision and redundancy required for a live broadcast. "Our MediorNet family of modular products gives users such as VER the freedom to adapt smoothly to changing signal transport and distribution requirements," added Joyce Bente, president and CEO of Riedel North America. 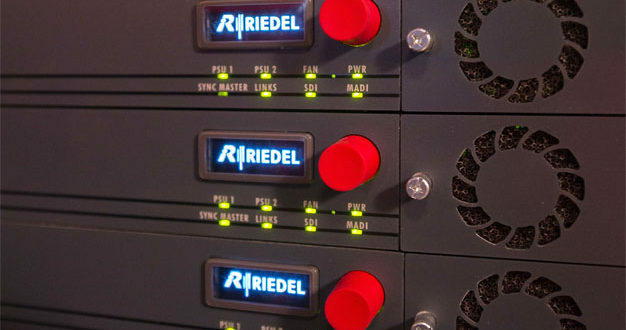 "Integrated signal processing, an intuitive interface for system configuration, and simple scaling are just a few of the characteristics that make these Riedel products a valuable addition to any production company or facility."